Big things are happening at the Elegant Wedding Bridal Showcase come 2018 and it all starts with the venue! The beautiful Pier Alexandra in Old Montreal—which recently underwent a $72-million renovation—is the perfect urban backdrop for this year’s show. With waterfront views and more square footage than ever before, we couldn’t be more excited about hosting the Elegant Wedding Bridal Show at the city’s hottest up and coming venue. 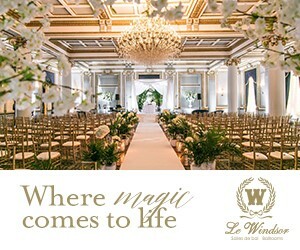 Connect with Montreal’s most highly sought-after wedding vendors while enjoying the latest fashions, trends, and luxuries in the world of wedding planning. Our guests will experience a show full of magnificent surprises around every corner. Buy two or more tickets online and you’ll get a voucher to our Gift Gallery! First 100 brides at the door get a gift bag! 200 de la Commune St. W, Vieux Montreal, Qc | 11 a.m. to 5 p.m.
View our floor plan and save the date! Here’s a sneak peek of last year’s luxury show! To spice things up this year, we will be adding a series of Lavish Stations throughout the show where brides-to-be will get a chance to taste and experience amazing canapés and cocktails sponsored by our fabulous vendors. When you walk through the doors of the Elegant Wedding Bridal Showcase 2018, we guarantee your day will be filled with full-scale pampering, amazing inspiration, food tastings, coffee and so much more. 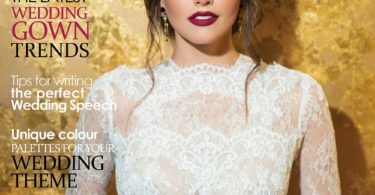 This is Montreal’s most talked about the bridal show! Get your tickets here!